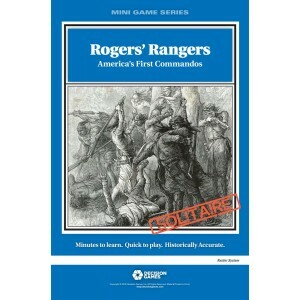 Rogers' Rangers: America's First Commandos. The French and Indian War (1754-1763) was raging along the frontier of Britain’s North American colonies. American colonists fighting alongside the British regulars developed a new form of soldier. The Ranger was at home with the irregular warfare dominating the contest for upper New York and the St. Lawrence Valley. This solitaire game is part of the Raider game system. 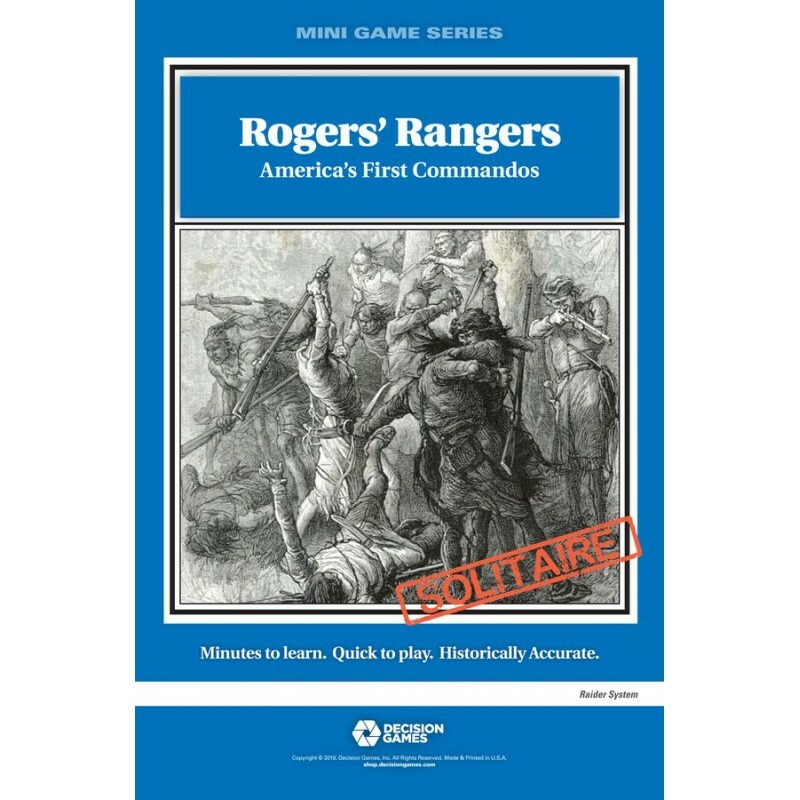 You command Ranger forces conducting missions as directed by strategy cards. You recruit leaders like Robert Rogers, and units including historical Ranger companies and British light infantry, then purchase weapons and tools to equip them. Each expedition leads you along trails and rivers to engage French and Indian forces generated by the game system. Event cards bring in a wide range of actions, from the mobilization of enemy forces to wilderness challenges. You must overcome all of them to reach your objectives.